But why? Why should God descend into this place where “no one rouses themselves to take hold of Him?” The prophet gives the reason: God is our Father, and He is not done with us yet. As a father patiently molds and disciplines his children, so “We are the clay, and you are our potter; we are all the work of your hand” (v.8). In 2 Corinthians, we find this image of the potter further illuminated: “For it is the God who said, ‘Let light shine out of darkness,’ who has shone in our hearts to give us the light of the knowledge of the glory of God in the face of Jesus Christ. But we have this treasure in clay jars, so that it may be made clear that this extraordinary power belongs to God and does not come from us” (4:6-7). Did you catch that? Not only did the Light come through Christ, not only did God rend the division between earth and the heavens once and for all, but his Light—the knowledge of His glory—is now in us. Imperfect clay jars though we are, He is still molding us, still willing to use us to display His glory. We are not stuck in this season of waiting, and we are not a people of permanent darkness. We are a people that have seen the Light and now have its power inside us. So how can you this Advent be a vessel of light? How can you be mindful of the reality of the darkness even as you remember the Light that has conquered it? 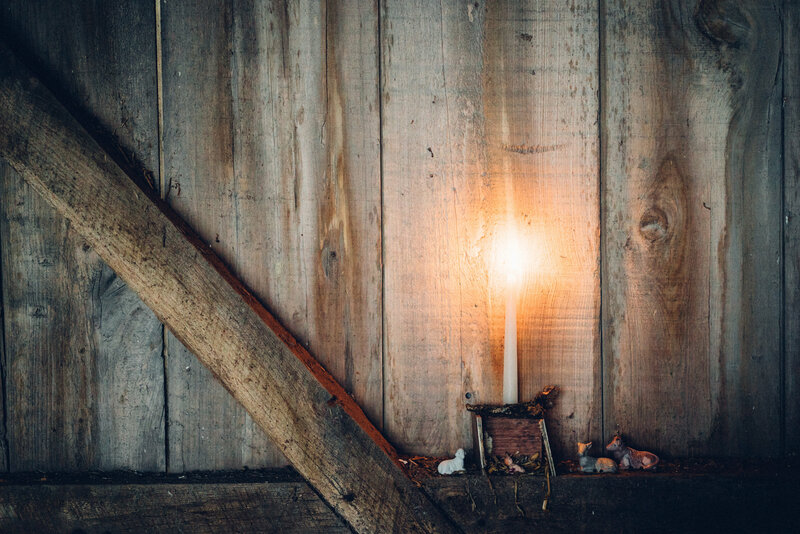 How can you help your brothers and sisters in Christ remember that Christmas is not about the trappings, but about God addressing our need for His presence by rending the heavens, sending his Son-light to illuminate the dark world?